Dealing with various image file types when editing video. When producing videos, a lot of times it's necessary to use a company logo in the video. When I ask a company for their logo, I find that a lot of times, even the graphic person doesn't always realize what the best deliverable is for the best quality. 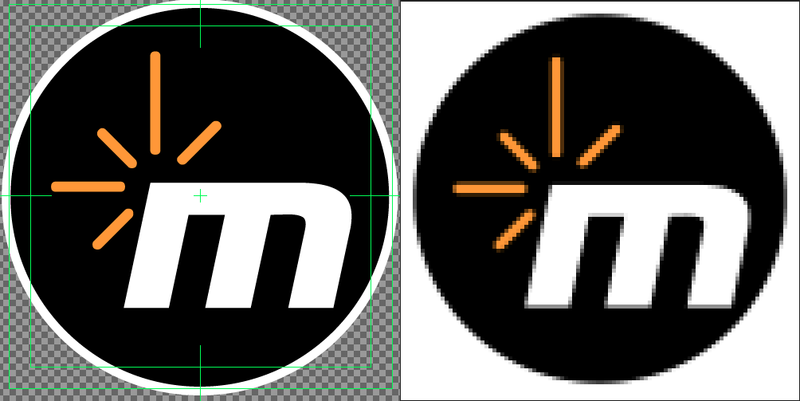 I usually have to explain that for a logo, it's best if we use the vector-based file rather than the bitmapped file. The difference is that vector-based files are basically instructions on where the lines and points should be and what colors to use. This means that a vector-based file can be resized to any size, without degrading the image. The most popular vector graphic files are AI, EPS and SVG. Fortunately, all of the tools in in the Adobe Production Premium suite can handle vector-based files. If you want to create or edit a vector-based file, your best bet is to know how to use Adobe Illustrator. 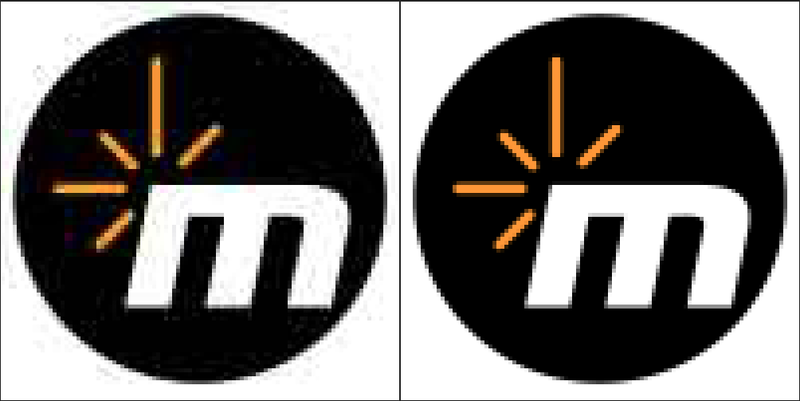 The logo image on the left is vector-based while the right side is bitmapped. Bitmapped or raster files have all of their pixels laid out and locked in position. Resizing these files changes the look of the image. For instance, if you enlarge a bitmapped file, the computer has to figure out what color pixels it needs to add, in order to make up for the larger image size. It's always in a video professional's best interest to ask of the largest image size available. With bitmapped files, the quality is always better if you reduce the image size, rather than enlarge it. The more popular bitmapped files are JPEG, PNG, PICT and BMP. My tool of preference when dealing with bitmapped images is Adobe Photoshop. Photoshop allows me to open virtually any kind of image file and manipulate it however I need. 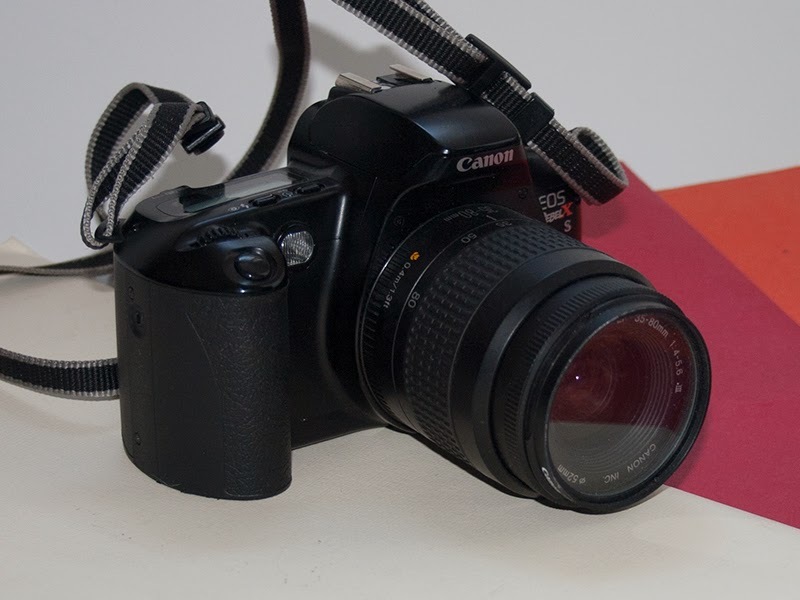 More of my favorite tools can be found at My Favorite Video Software Tools of 2013. Keep in mind that vector-based files are illustrations, which incorporate lines, shapes and colors. It's not really possible to have a photograph as a vector-based file. Photographs and images with billions of different shades and colors need to be handled in bitmapped files. If the file is an illustration (like a logo) and you can't get your hands on a vector-based file, getting a PNG rather than a JPEG is your next best choice. A PNG file has none of the compression that is inherent in JPEG files. The lack of compression keeps the lines and areas of high contrast much crisper. Even for photos, it's always preferable to get an uncompressed file such as a PNG. The image on the left is JPEG compressed while the right is uncompressed. The next time your client asks what type of file you need, if it's a logo, ask for the vector-based file, otherwise ask for a PNG file. You'll save yourself a lot of headaches going forward.